I had the privilege of touring Winterthur a few years ago, and it was truly remarkable. What is equally remarkable, though in a much different sense of the word, is the number of designers who have never even heard of Winterthur. That really amazes me. I have written about Winterthur before, so I won't repeat myself by explaining what it is and who Henry Francis du Pont was. You can read my previous Winterthur-related blog posts by clicking here. But what I do want to bring to your attention is Currey & Company's Winterthur Collection. The collection, which includes lighting and furniture, was inspired by pieces at Winterthur. Some of the furniture, such as the "Powell" dressing table, below, was based on pieces collected by du Pont himself, while books and ephemera in Winterthur's library were the source for many of the motifs used to embellish Currey's new lamps. For more information on the collection, please visit Currey & Company's website. And if you have never before visited Winterthur, I encourage you to do so soon. This Currey & Company "Powell" dressing table was based on an early eighteenth-century Philadelphia dressing table in the Winterthur collection. 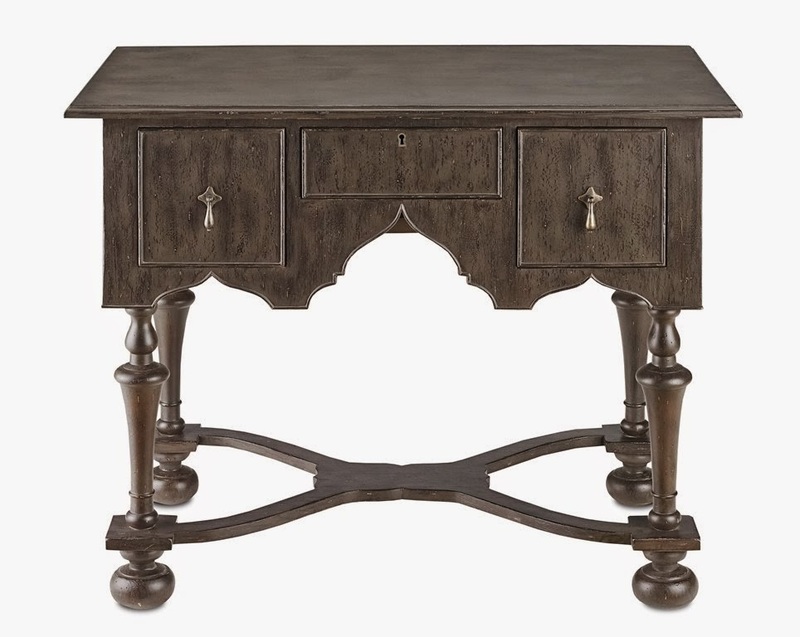 Like the contemporary version you see here, the original dressing table had ogee-arched carved front and side skirts, which is a characteristic of the "Early Baroque" or "William and Mary" style. 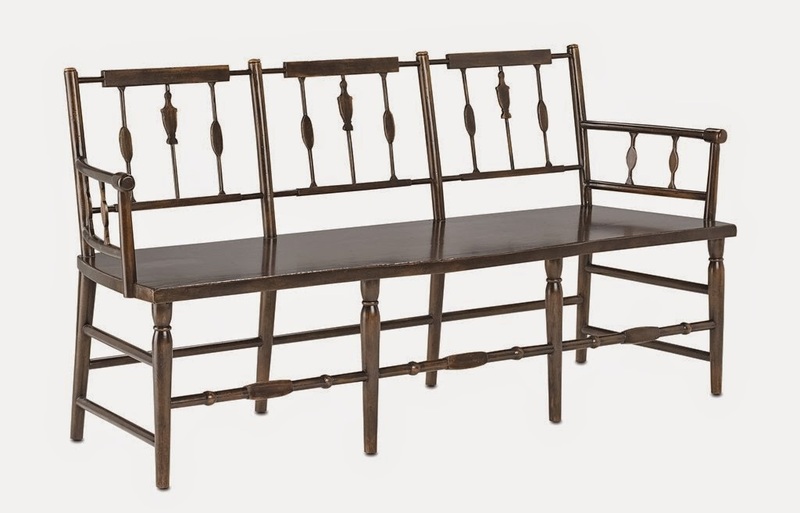 It was an early nineteenth-century Massachusetts fancy settee, part of the collection at Winterthur, that spawned the Currey & Company version, which is named "Chestertown", above. The original settee was decorated with gilded grapes and leaves. 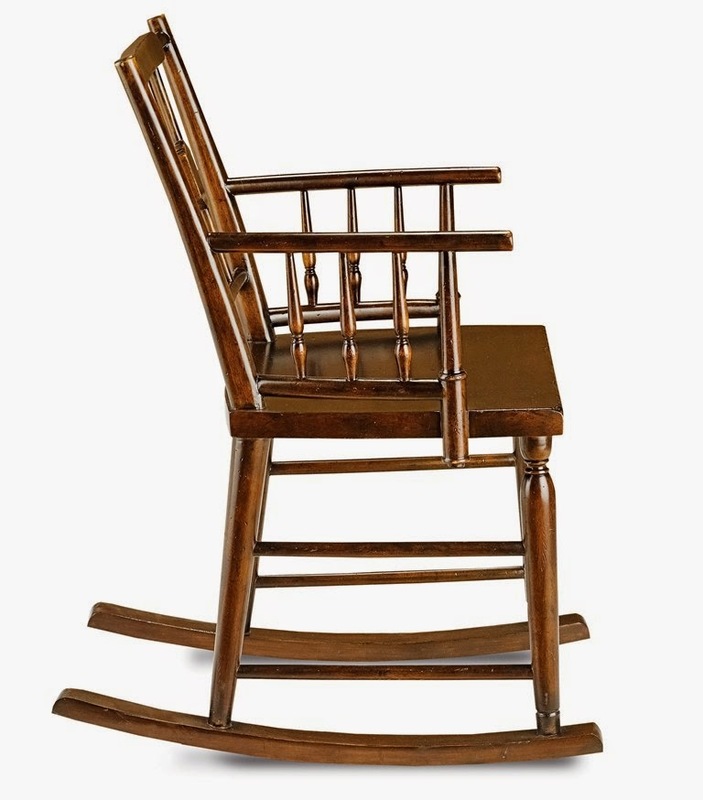 Currey & Company's "Chestertown" Rocking Chair. 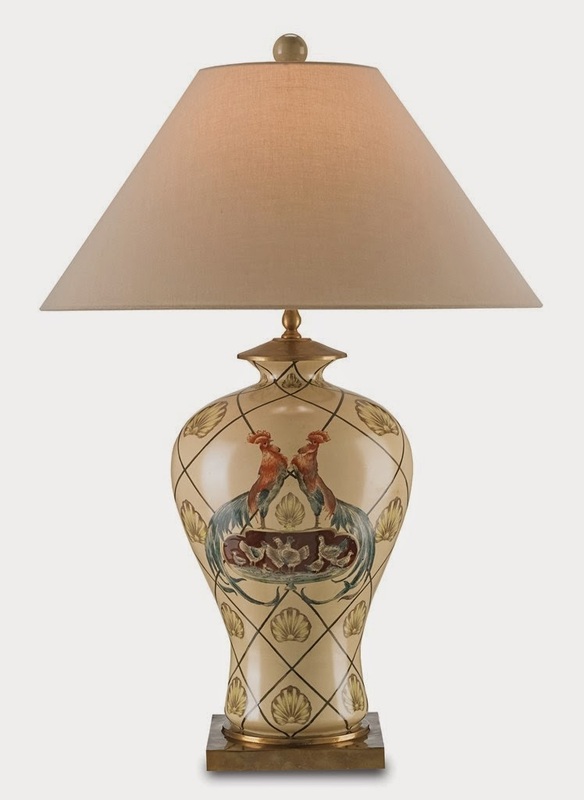 Currey & Company's "Victor" lamp. 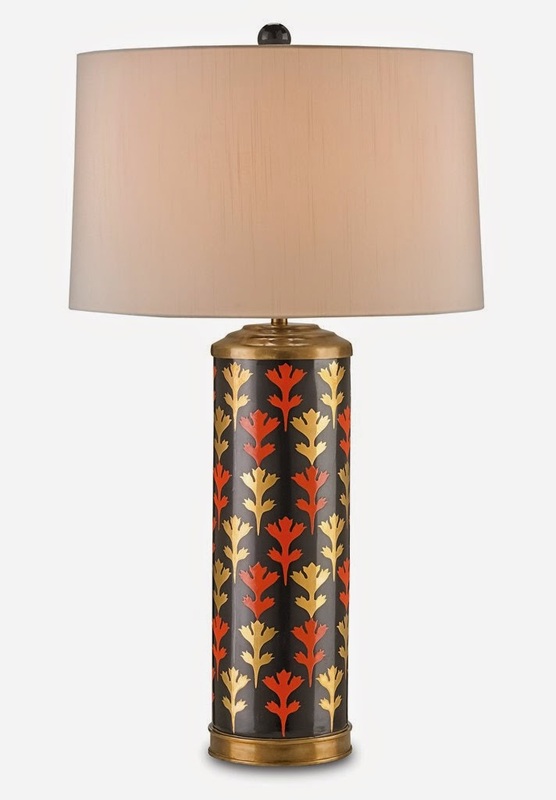 The floral motif on this table lamp was inspired by the 1881 pattern book, Suggestions in Floral Design, by Frederick E. Hulme. The book featured chromolithographed plates of plant and floral specimens, some of which were highlighted in gold. A copy of this book is in the library at Winterthur. I'm surprised that designers today haven't heard of Winterthur, but then I shouldn't be. Back in the early 1990's I was on a quest for a pair of Billy Baldwin-like bookcases. None of the designers at the furniture stores I went to had ever heard of Billy Baldwin! At one point I even asked a woman if she had her degree (she said she did). I know that was a bit impertinent on my part, but it was my third furniture store and third blank face.